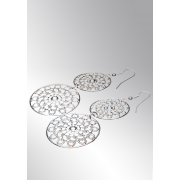 Newbridge present a pair of double drop earrings from the eShe jewellery collection. These earrings come silver plated with a fish hook back. 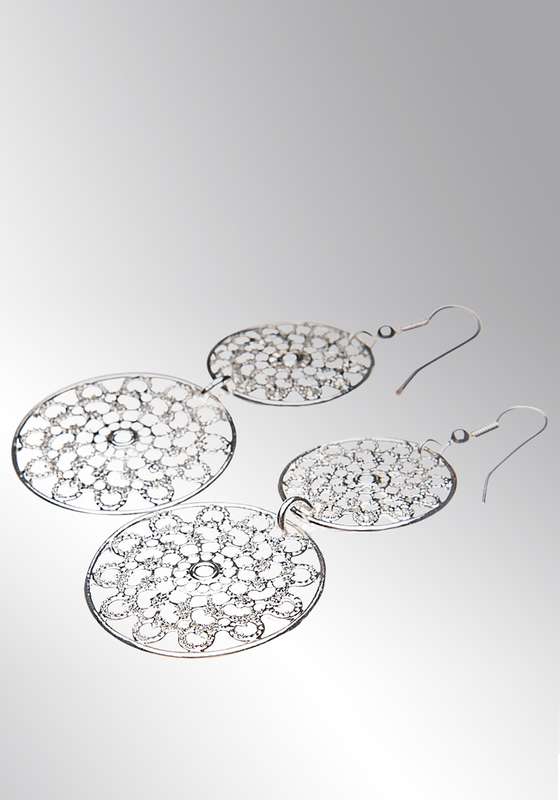 They have a filigree design in each circle. A beautiful piece of jewellery.